If you are a fan of Carmelo Anthony and his signature kicks, then you should definitely not miss the latest edition of his ninth signature kick from Jordan Brand. 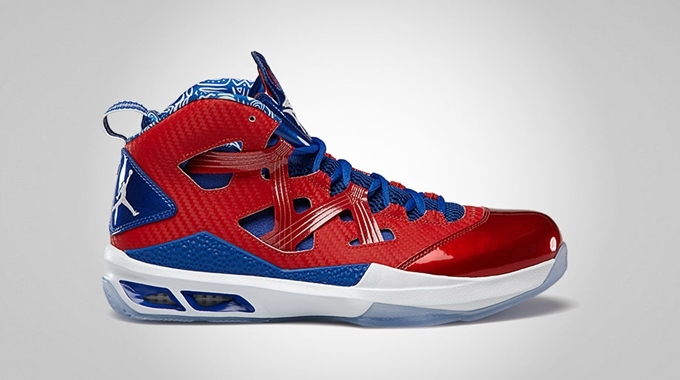 The Jordan Melo M9 is now available in University Red/White-Game Royal colorway for just $140. This kick has a touch of history for the superstar forward in the NBA because it is obviously the “Puerto Rico” edition of the kick as it bears the national colors of the country where Anthony’s roots can be traced. Check this out now and grab your own pair as soon as possible!